Calling all college basketball fans! Haven’t filled out your March Madness bracket yet? Selection Sunday is coming and we want you to register your team for our Munch Madness competition! 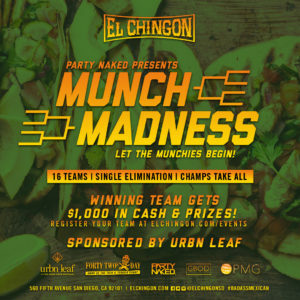 Our #badass version of March Madness is being sponsored by URBN Leaf, so let the munchies begin! All Entry fees benefit an amazing organization, Include Autism! Winning team gets $1,000 in cash & prizes!